After road transport down from North Wales, this Sealine T50 required quite some rebuild! Our team jumped on board as soon as the transport arrived and fitted the propellers and rudders ready for immediate launch. 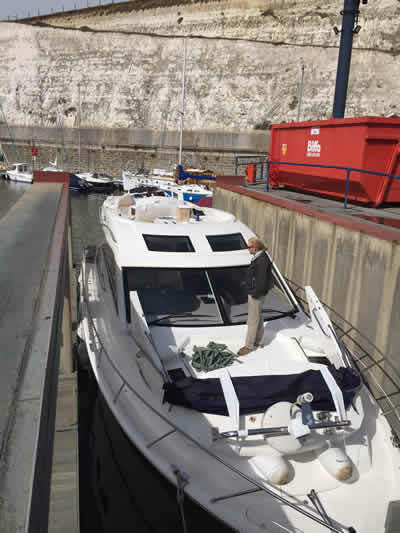 Once float the boat yard craned the large forward facing radar arch into place while the west Marine team bolted it into place, once secure the crane was released and the re wire and re plumb began! 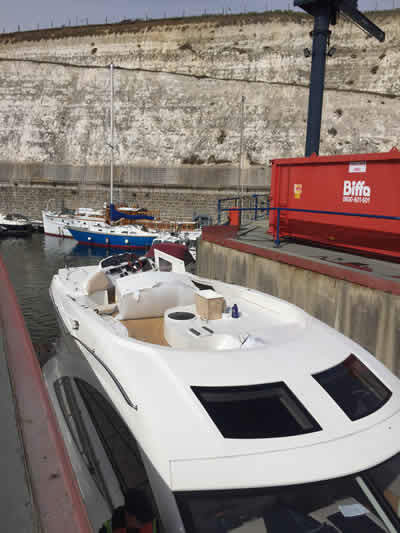 The main helm was disconnected and completely removed for height purposes, refitting required the Volvo Penta D9 instrumentation and controls to be reconnected and tested. The next job was to connect up the quick connect steering hoses and bleed any residual air out of the system and top up oils and pressure as required. Once this was complete it was time to rewire all the electrical switches and test the systems. Next step is reconnected all wiring at the radar arch, as this arch is filled with LED lighting there was quite a lot to do, the Raymarine radar also required plugging in, testing and calibrating. 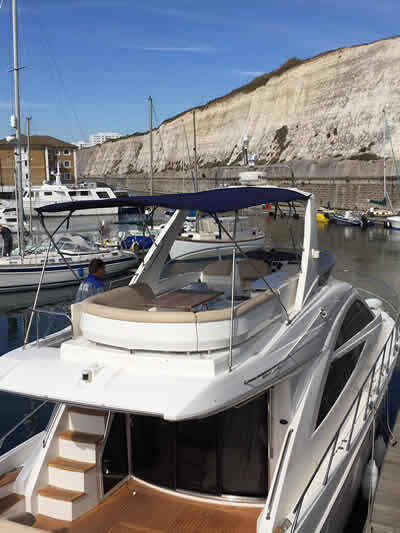 The flybridge grill and sink unit was removed, again for height restrictions, this required bolting into place and plumbing in. The final touches were fitting the wind shield, aft flybridge seating, helm seat and Bimini frame work. Once this was done all Joints we sealed with the relevant sealant and workings areas cleaned down.